> Metal housing makes the device wearable, strong and anti-magnetic. Protective glass design and painting process make device body smooth and uniform, dustproof, anti-crash and scratch-proof. > It offers a more comfortable touch sense, because it can recognize up to 10 different points simultaneously, so that multiple operators can draw on it simultaneously. > High sensitive touch experience so that you can write and draw what you want without ghost. The picture is clear without a gap. 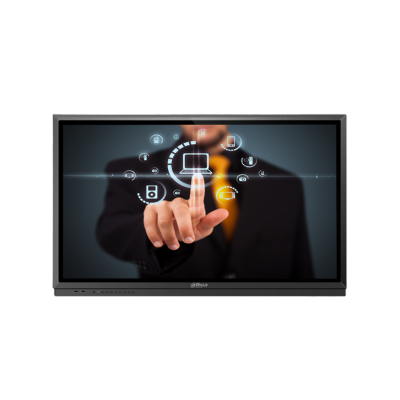 > Built-in E-whiteboard software, widely used in education, meeting room, show room.